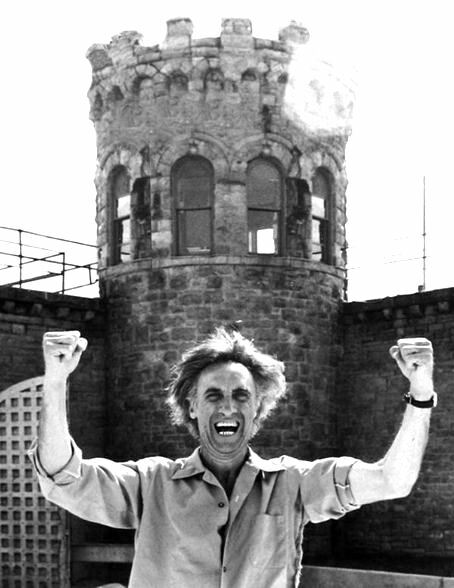 In films since 1952, character actor Timothy Carey gained a cult following for his uncompromising portrayals of sadistic criminals, drooling lechers, and psycho killers. 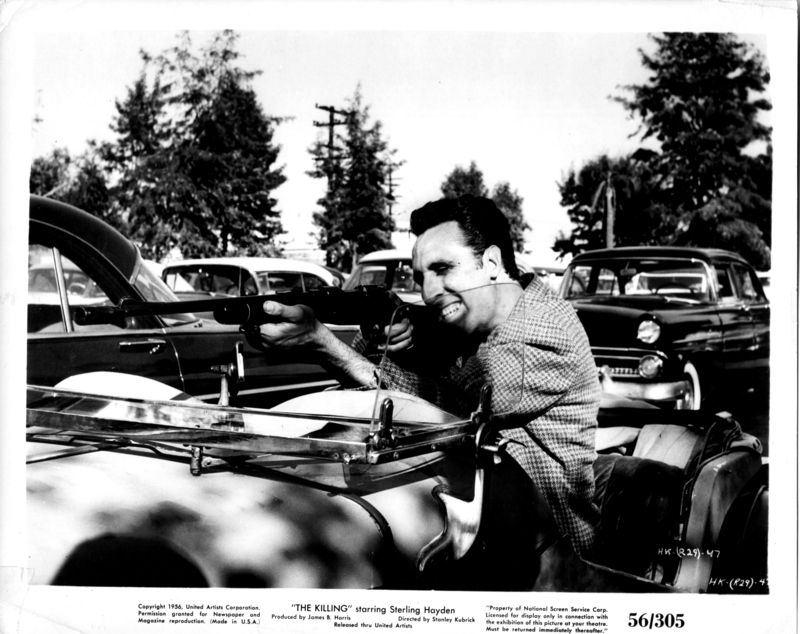 His definitive screen moment occurred in Stanley Kubrick‘s The Killing (1956), in which, as two-bit hoodlum Nikki Arcane, he gleefully shot down a race horse. Kubrick used Carey again in Paths of Glory (1957), this time in the sympathetic role of condemned prisoner Private Ferol. Equally impressed by Carey’s work was director John Cassavetes, who gave the actor a leading role in The Killing of a Chinese Bookie (1976). In 1965, Carey spoofed his unsavory screen image in Beach Blanket Bingo, playing leather-jacketed cyclist South Dakota Slim, who expresses his affection for leading lady Linda Evans by strapping her to a buzz saw. He went on to menace the Monkees in Head (1968), bellowing out incomprehensible imprecations as Davy, Mike, Micky and Peter cowered in confused terror. One of his juiciest film roles was as a rock-singing evangelist in The World’s Greatest Sinner (1962), which he also produced, directed, and wrote. 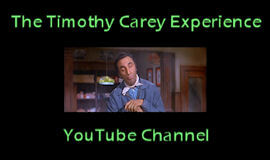 In his later years, Timothy Carey occasionally occupied his time as an acting teacher. In the midst of freezing temperatures across the nation (and it’s not even officially winter yet), let’s take a trip back to the beach and those carefree days of summer. Except that we’ll be stuck in a pool hall. Our pic today is from Beach Blanket Bingo (1965), the second film in which Timothy appears as that pool-cue-slinging ne’er-do-well South Dakota Slim. 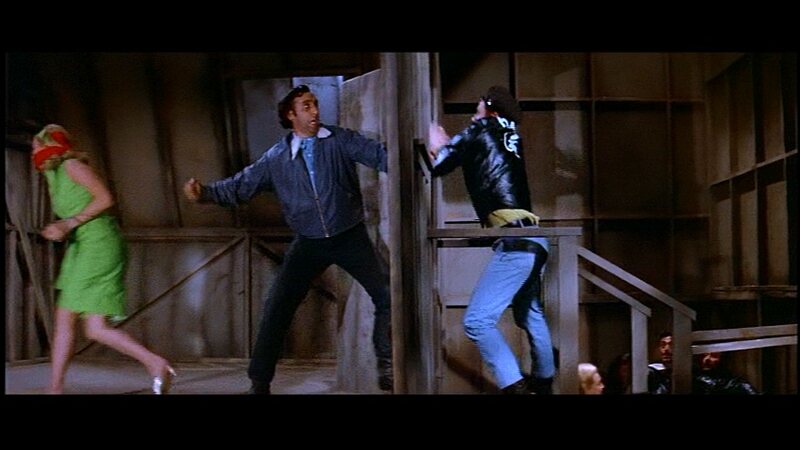 Here he forces himself to be polite to vapid pop singer Sugar Kane (Linda Evans), under the insistence of Eric Von Zipper (Harvey Lembeck) and his gang. She looks so girlish and sweet here – it’s hard to believe this is the same Linda Evans who would achieve fame in the ’80s on Dynasty. Well, you gotta start somewhere! As summer wanes, we once again revisit Beach Blanket Bingo (1965), thanks to the fine folks at Movieclips.com. Here’s the end of the film, as South Dakota Slim battles all comers in defense of Sugar Kane (Linda Evans), who looks really confused. The day is saved by Frankie Avalon – we have no trouble giving him all the credit. Huzzah! The kind folks over at Movieclips.com have added several clips from Timothy’s films to YouTube, so today before the summer’s over, we present one of South Dakota Slim’s defining moments from William Asher‘s Beach Blanket Bingo (1965). Having very strong second thoughts about their plan to get rid of the annoyingly perky Sugar Kane (Linda Evans) are Rat Pack gals Puss (Alberta Nelson) and Boots (Myrna Ross). Slim, however, is having the time of his life. Enjoy the insanity, bubbies!